Audubon County is a county located in the U.S. state of Iowa. Its county seat is Audubon. 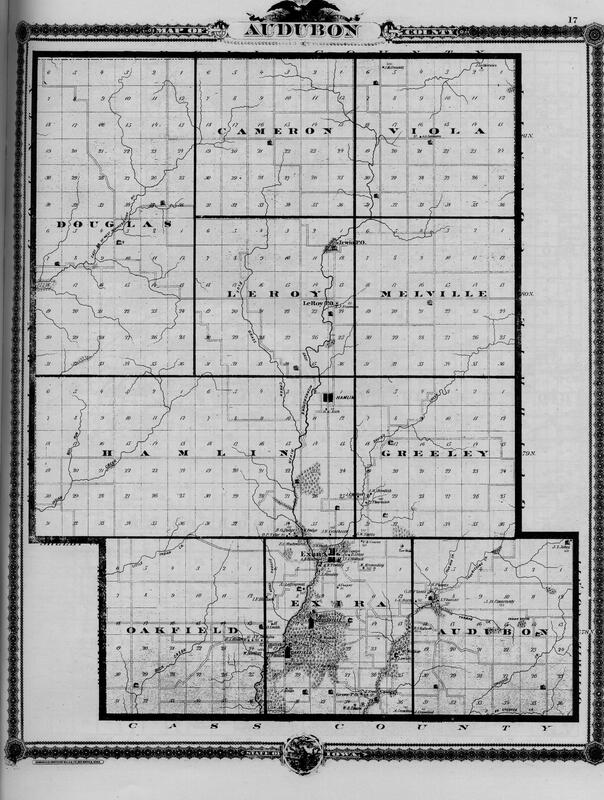 The county was created in January 15, 1851 and originated from Black Hawk County and Cass County. The name of the county comes from John James Audubon (1785-1851), ornithologist and artist. The links directory provides suggestions for a variety of websites to assist in your family history and genealogy research. Biography of Alfred Brooks, M.D. Biography of Daniel Franklin, M.D. Biography of Isaac P. Hallock, Jr.